San Francisco spent much of its time this offseason retooling a defensive backfield that gave up nearly 4,000 yards in 2017. 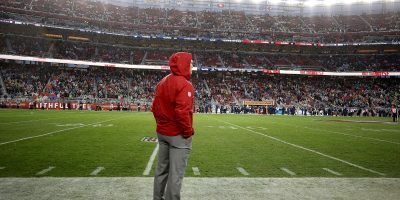 With the additions of Richard Sherman, maturation of Ahkello Witherspoon and the emergence of Adrian Colbert, that group now looks formidable and Garoppolo just got the first taste. In as good of a sight as any for the 49ers, Sherman participated in a full practice for the first time since tearing his achilles tendon in November. The first-year 49er didn’t look to be limited either, taking first-team reps at corner. Rust didn’t seem to be much of a factor for Sherman, though. Starting 11-on-11 drills, he was quick to run up to the line of scrimmage and press wide receiver Pierre Garçon. Clearly, Sherman’s competitive nature was unaffected by his absence. On the other side of the field, Witherspoon looked to have mightily improved from his rookie season. Looking bigger and stronger, the second-year corner appeared to belong in the first unit on defense unlike a year ago. 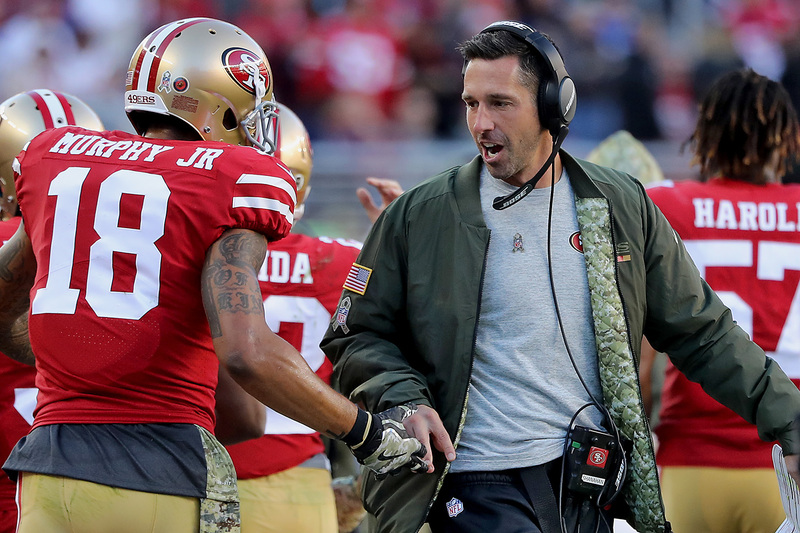 Thursday, Witherspoon used that transformed frame to give the 49ers offense fits. By utilizing his upper body strength, Witherspoon was able to jam receivers at the line of scrimmage and even get his hand on a Garoppolo pass or two. 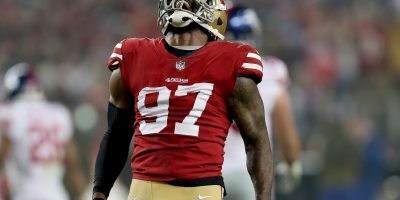 Taking a few paces deeper into the 49ers secondary, Colbert made his presence felt in his second 49ers training camp at free safety. 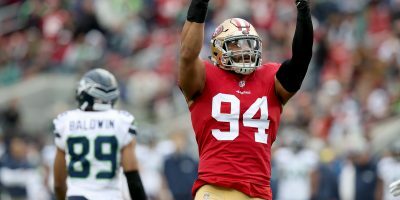 Taking over for Eric Reid, whose five-year tenure with San Francisco came to an end with his free agency following the 2017-18 season, Colbert looks to be settling into a solidified role at only one position compared to last season when he was asked to play both corner and safety positions. Roaming the deep third of the field, Colbert took on the likes of wideout Marquise Goodwin for the majority of the day. 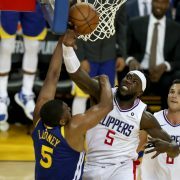 While he did get beat on a few occasions, Colbert had textbook pass breakups against the Olympic-caliber speedster. While it’s entirely too early to make heads or tails of any position group, there’s no denying that the 49ers secondary looks to be an improvement from last season. Keeping Garoppolo to a sub-50-percent completion percentage (4-of-9 on the day) was a big step in the right direction for this unit. And as camp rolls on, we might see more days like this. Jerick McKinnon looks like the real deal after being acquired in free agency this offseason. Taking most of the reps as the featured back, McKinnon did well in both 7-on-7 and 11-on-11 drills. The highlight of his afternoon consisted of a would-be-touchdown run that he broke down the left sideline behind fullback Kyle Juszczyk. 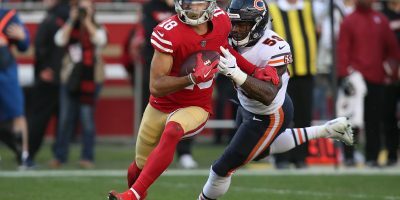 … Marquise Goodwin appears to be Jimmy Garoppolo’s favorite target early in camp after the pair connected for three of Garoppolo’s four completions Thursday. 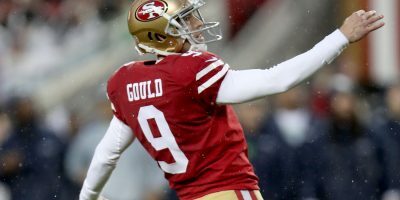 While this may be a product of Trent Taylor starting camp on the PUP list, building chemistry early with Goodwin will only open up Garoppolo’s options in the future. 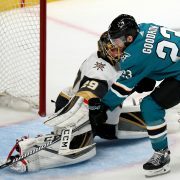 Goodwin closed last season strong so this will be a big camp for his progression. … Defensive back Tyvis Powell snagged one of two interceptions thrown at practice Thursday. 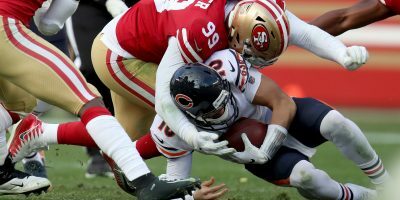 Taking advantage of a poor throw from Nick Mullens, Powell added to a strong showing from 49ers defensive backs. Plays like this stick out to coaches on film so Saleh should be happy with his first day of camp. … Joshua Garnett is the starting right guard — for now. The 49ers offensive line also saw Mike Person take reps with the first-team but it was Garnett who saw action first. This battle will likely continue for the duration of training camp but as of now, Garnett is the early leader.